In the ‘Magnificat’, the Blessed Virgin proclaims the greatness of God who called her, his humble handmaid, to be the Mother of his Incarnate SonAt the General Audience of Wednesday, 6 November (1996), the Holy Father returned to his catechesis on the Virgin Mary with a reflection on her song known as the Magnificat. "With her wise reading of history, Mary leads us to discover the criteria of God's mysterious action. Overturning the judgements of the world, he comes to the aid of the poor and lowly", the Pope said, pointing out that it is humility of heart which the Lord finds especially attractive. Here is a translation of the Holy Father's catechesis, which was the 35th in the series on the Blessed Virgin and was given in Italian. 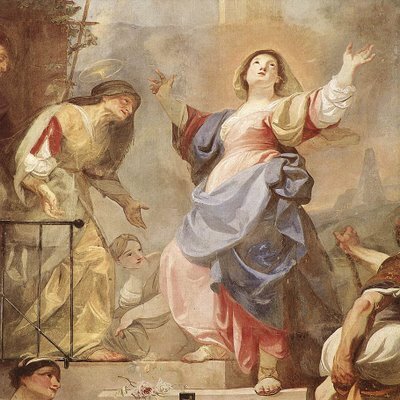 Inspired by the Old Testament and by the spirituality of the daughter of Zion, theMagnificat surpasses the prophetic texts on which it is based, revealing in her who is "full of grace" the beginning of a divine intervention which far exceeds Israel's messianic hopes: the holy mystery of the Incarnation of the Word.